If you want a beginner and wants to know all about bass amplifier, this article is for you. Before going into the specifics of the different models, it will be useful to understand the various kind of bass amplifiers that are available in the market. These amps are known for their vintage, old school tone with notable warmth and depth unrivalled by their counterparts. They also produce a smoother transition when being overdriven compared to solid state amps. Tube bass amps, however, tend to be more fragile than solid state amps. They also are generally more costly and bulky. This is something to consider especially when you’re just starting to play or if you have a relatively low studio budget. 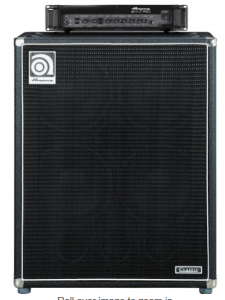 Solid state bass amps are generally more budget-friendly and portable than tube bass amps. Their weakness, however, lies in the way they overdrive. A solid state amp will not be particularly musical when overdriven, as opposed to a tube bass amp. Nowadays bass amp manufacturers are increasingly producing solid state amps with high headrooms to minimize the need to overdrive them, so that is a factor to consider, but not a particularly serious issue to be worried about when choosing your bass amp. The best way to make sure is to try out a solid state amp before you purchase it, to have a better idea of how loud the amp can be before it overdrives. Check out out guide on the best solid state amps. To combine the desirable features of both tube bass amps and solid state amps, hybrid bass amps have been recently introduced by brands such as Orange in their Terror Bass series. These hybrid bass amps typically have tube-based preamplifiers to help replicate the warm sound of tube amps, but they are primarily solid state amps. Hybrid amps have the strength in durability, light weight and ruggedness of solid state amps, while also having a warmer and deeper voice than their solid state counterparts. However, their warmth and depth is still not an exact replica of a tube bass amp. When buying any bass amp, it is important to check the following criteria as each may affect the quality of the output. Bass amp heads have the advantage of being extremely compact and portable, and are therefore a popular choice for touring bass players. Bass amp speaker cabinets are designed to handle the most subtle of bass frequencies, and are therefore preferred for more demanding purposes, such as for big concerts or for amplifying acoustic bass guitars. Bass amp combos integrate the amps and speaker cabinets into one package, eliminating cabling and transporting issues. They also tend to be cheaper than buying a head and a cabinet separately. The amp’s power determines how loud it will be. This factor ultimately depends on what purposes you will use the bass amp for. If you’re looking for a practice amp or one to bring to small gigs at a local bar, a 50-watt or even 30-watt bass amp will probably suffice. If you want an amp to accompany you at larger gigs, such as outdoor concerts or big weddings, then you’ll probably need a 400-watt or even 600-watt amp. Most bass amps nowadays come with a direct output into a mixer. This comes in handy when you need to mix your sound with the rest of the band, for instance in a sub-mixer, before passing it to the main PA system. Some bass amps also come with a direct output to headphones or to your MP3 player. The former allows you to practice quietly in your room without disturbing the neighbors, while the latter comes in handy when you want to practice by jamming along with your favourite songs. Bass amps typically come with EQ options. Depending on your needs, you can do well with a basic three-band EQ setup which includes low, mid and high frequency controls, or you may need more sophisticated tone shaping tools. In any case, you can always shape your tone in a mixer or a digital audio workstation (DAW) in your computer, so don’t worry too much if your chosen amp only has a basic three-band EQ. Depending on your recording or performance setup, you may need two or more channels to work with. The most basic setup typically includes a clean and an overdrive channel, to give you more tone options. Some bass amps are also able to split their signals into and tailor the tones for each of their speackers. Some bassists prefer several smaller speakers (8” or 10”) in their bass amps, while others prefer one or two large speakers (12” or 15”). Generally speaking, smaller speakers give more punch and faster response, and are suitable for punk rock, hiphop and R & B bassists. Larger speakers gives more rumble and fatter, warmer sounds, which makes them more suitable for jazz or acoustic bass guitars. If you travel or tour frequently and want to have your bass amp with you at all times, then the size and weight of the bass amp becomes an important factor. Most commercial bass amps are larger than guitar amps due to the amount of power they require, and the ones considered portable still fall in the 40-70 lbs range in weight. If your chosen amp weighs more than a hundred pounds, be sure to check if you can get accompanying wheels and handles for easier transport. You don’t need to rob a bank to buy a high quality bass amplifier and we are here to show you how. Reviewed below are some of the top rated bass amp brands in the market today. We will highlight their strengths and weakness to help you decide which model is the best for your needs. Thw versatile and affordable Behringer BXL bass combo amp gives you a shameless 300-watt screaming machine and a seven-band EQ to freely tweak your tone any way you like. The integrated limiter and compressor also gives you the freedom to keep your volumes in check to prevent clipping. The sound you will get is deep smooth bass. The precision is of course not as good as the really high end models but you don’t really need such precision in run of the mill performances. The best part about this model is its price. For the kind of power and sound quality, it has a very reasonable price. Most of the time, this model will cost you more than $500 but you might be able to get it for less than $500 if stores are offering discounts. The weakness of this model is its weight. It is rather heavy so it is not a very choice if you want a portable bass amp. That is where our next recommendation comes in. Choosing a lightweight amp that doesn’t sacrifice on the tone is tough. 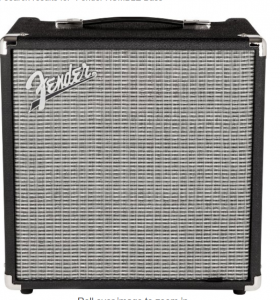 However, you won’t have to worry if you get your hands on one of these Fender’s RUMBLE monsters. Most people who have never heard this amp play before worry about its lack of power. Rest assured however that good things do come in small packages. It is very well built and has many tone options and features that allow you to adjust the sound output. The compact 2×10” speaker setup delivers rich, huge and rumbling low frequencies with exceptional quality and clarity. The uncompromising 500 watts of power also makes this beauty an ideal choice for both live performaces and professional studio recording. Being a portable amp, it is pretty easy and light to carry this around, especially when you have different events to attend to. It is good value for money if you have the right expectations given its price and power. If you have never hear this before, do yourself a favor and check it out at your local store. You will be amazed by this very small but powerful machine. 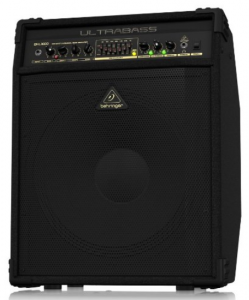 I consider this to be one of the best bass amp under $500. This monster of an amp gives you plenty of volume to drown out the most ear-splitting audience screams in large concerts. The Ampeg SVT-410HLF also makes room for the lowest frequencies to shine, giving you a satisfying rumble and a rich, fat tone. Unfortunately, it is a very expensive bass amp as most stores I have been to charges over $1000. However, you are paying for quality so I don’t blame the manufacturer. The world of bass amps gives you plenty of options to choose from. Make sure to find out what your needs are before purchasing an amp, keeping in mind that good bass amps are usually quite costly.